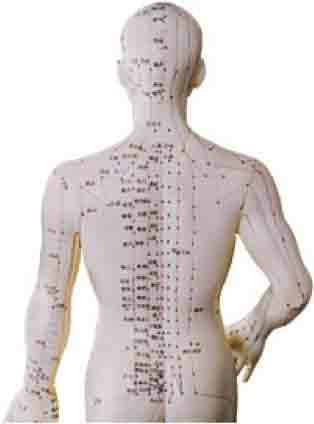 Acupuncture is considered to be one of the world’s oldest treatments and is part of Traditional Chinese Medicine (TCM). The principle for Chinese medicine is that the body consists of many energy meridians. When “qi” (the Chinese word for vital energy) does not freely flow through these meridians, it can cause pain. The aim of acupuncture is to stimulate the blood flow and the energy flow through these meridians in order to reduce or eliminate pain. During an acupuncture treatment, the acupuncturist will insert sterile, hair thin needles into specific points on the skin. These points are trigger points on a specific meridian in the body that flows through the area where the pain occur. Once these areas are stimulated, it encourages the body’s ability to heal itself by releasing toxins that have built up in the body, releasing endorphins – the feel good hormone and a powerful pain killer – and increases the blood flow to the area. In the use of acupuncture for lumbago, the needles are inserted at various points on the back, concentrating on the lower back and hips. In the case of nerve based pain, some needles are also inserted down the legs. Once the needles are in place, the patient is left for approximately ten minutes, after which the acupuncturist will stimulate the needles by slowly rotating them and leaving them in the skin for another ten minutes. Because the needles are so thin, very little pain or discomfort is experienced while inserting the needles. However, on sensitive areas on the body, such as around the feet, back of the knee, one does feel a slight prick when the needle is put in place or stimulated. Once the needles has been in place for around twenty minutes, they are removed, one at a time and the acupuncturist whom is usually educated in Chinese massage therapy will follow the treatment with a relaxing massage, focusing on the painful areas. This massage will further promote blood flow and toxin release in the affected area and ease the tension in the surrounding tissue. 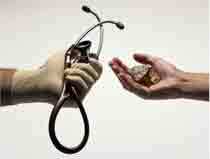 The result is usually a very calm, relaxed and fairly pain fee individual. As the use of acupuncture seems to focus mainly on soft tissue, the pain relief that is experienced could only last for 12 to 48 hours afterwards, especially if the cause of the back pain is structural and not due to tissue damage. When using acupuncture for lumbago, if the spine is out of alignment and is considered to be the main cause of pain, the treatment of surrounding muscles and ligaments are only part of fixing the problem. In the case of a herniated disc, the body needs a lot of time, sometimes even months, for the protrusion in the disc to retract. Due to this, one should consider acupuncture as a complimentary treatment in addition to other medical treatments such as physiotherapy or chiropractic treatment. If you deal with the structural and soft tissue issues at the same time, your chances of a quicker recovery are greatly increased. The western world are more and more considering the benefits of eastern medicine such as acupuncture as we start to see the body holistically. Having used acupuncture myself for the treatment of lower back pain, I can recommend it as part of your ‘package’ to treat chronic pain. Acupuncture for lumbago is generally very successful. It is a great step towards avoiding too much chemicals to rid yourself of pain.